I received a copy of this well thought out and thorough entertaining book by Kristal Damron. The settings that she creates in the book are breathtaking and the photography is beautiful! 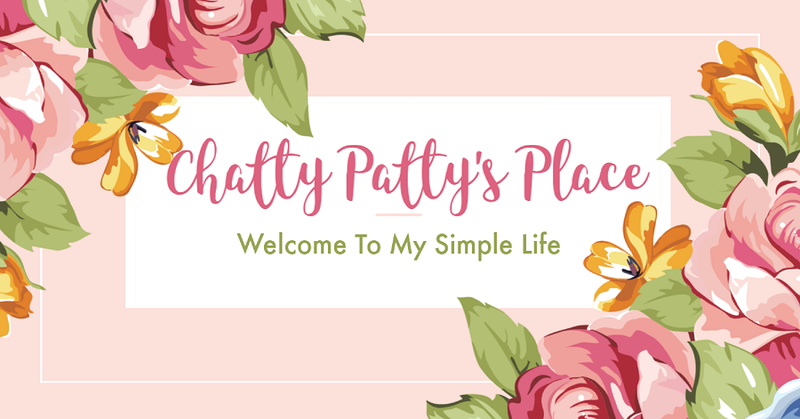 I love how she shows step, by step instructions for creating the ideal setting for different occasions. There are even wonderful meal ideals with photos to accompany them. 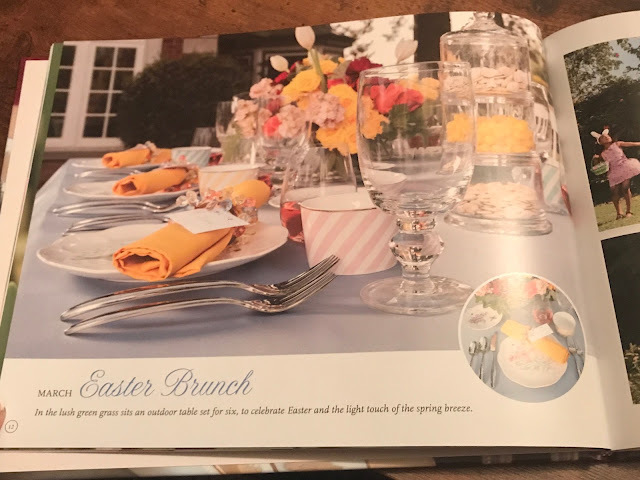 Each different occasion shows tablescape ideas with lifestyle photos, menu plans and dining service tips. One thing that made this book stand out in a hugely perfect way to me, is the fact that at the end of the book, she shows each individual place setting piece, along with the name and number of the style. I love that! You don't know how many times I am looking in a book or magazine and see something I love and wonder who made it and where I can get it. This takes all of the guess work out of that. Many different holidays and occasions are covered throughout the book. I can only hope that she makes more books like this! 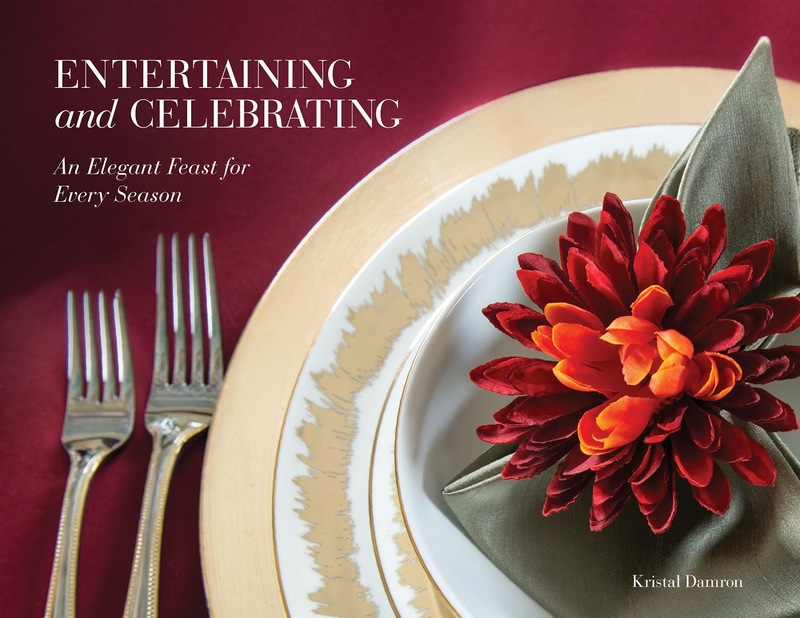 This beautiful book by Chef Kristal Damron entitled Entertaining and Celebrating: An Elegant Feast for Every Season will be released May 31, 2019. Pre-order now! Make any meal a celebration with this new guide which brings together everything a host or hostess needs to create lasting memories around food and family. 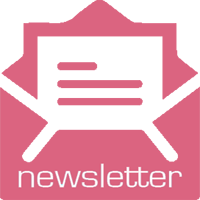 Seasonally organized recipes, menus, tablescapes and décor ideas, and wine pairings come together in one comprehensive resource. Chef Damron’s experience as a working mom, enthusiastic hostess, caterer and professional chef combined to show you how to elevate your dining experience. It’s easy for a home cook to become overwhelmed at the thought of pulling off an elegant meal when shuttling the kids to soccer practice or working in that evening conference call. But Damron makes a special dining experience accessible to everyone. Let Kristal talk you back into planning that special dining experience! Can I set up an interview or provide you with a review copy of the book? I'm providing Chef Damron's bio below. Chef Kristal Damron is the owner of Reward Your Appetite Catering, a fine dining catering company committed to providing exquisite culinary dishes with exemplary service. Kristal spent more than 20 years in corporate finance before redesigning her life around her family and her passion – entertaining. Damron has a Bachelor of Liberal Arts and Masters of Business Administration from the University of Illinois at Urbana-Champaign. She graduated, with honors, from the Arizona Culinary Institute in Scottsdale, Arizona. She lives in Phoenix, Arizona, with her husband, Jared, and their two daughters, Arianna Victoria and Alexandria Isabella. She and her family enjoy traveling, visiting parks and museums, and spending time with family and friends. Connect with Chef Damron at RewardYourAppetite.com, Facebook.com/RewardYourAppetiteCatering, Twitter.com/RYACatering, and Instagram.com/RewardYourAppetite. Entertaining and Celebrating: An Elegant Feast for Every Season will be released in May 2019, and available wherever books are sold. Pre-order it today at RewardYourAppetite.com. Disclosure: I received a copy of this book to review for my honest personal opinion. Your opinion may differ.